One bispecific antibody-like drug – the leukemia drug blinatumomab – is currently on the market. But development of more therapies based on bispecific antibodies has been hampered by technical challenges. For example, certain bispecific antibodies deviate from the standard Y shape and tend to be less stable than conventional antibodies, falling apart easily. 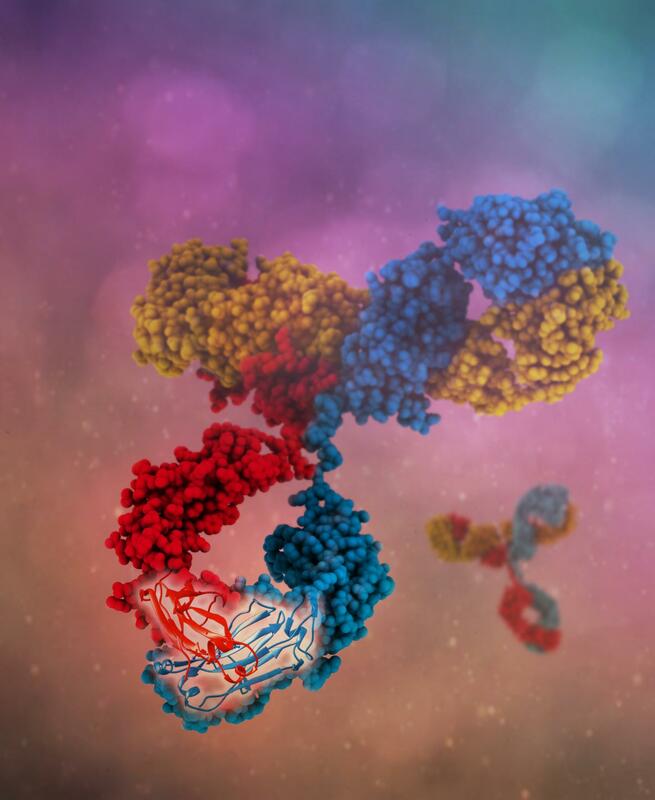 Further, certain bispecific antibody formats have tended to be difficult to produce at industrial scales because they can require specialized engineering processes. The four mutations were in the "heavy chain" protein components of the antibodies. Typically, two identical heavy chains pair up in each antibody. The challenge in creating bispecific antibodies was to induce non-identical heavy chains to pair–creating "arms" capable of binding different antigens – while discouraging pairing of identical ones. "Antibodies are capable of being so specific, and you can tweak and tune them," Kaldenberg-Hendriks said. "With bispecific antibodies, we believe we can choose the affinities of both arms and balance them so that you can more specifically target tumors, and also recruit other cells or molecules to attack the tumor cells without many side effects. We really think it's the way forward." The work was funded by BioStruct-X Grant 283570 embedded in the European Union's Seventh Framework Programme FP7/2007-2013.